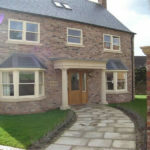 We sell only the very best A-rated double glazed windows, doors, conservatories and orangeries in Melton Mowbray. 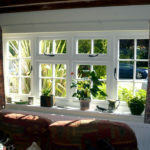 DGL have been trading and installing windows for the last 20 years and have a team of window specialists ready to help. DGL doors are installed by trained door specialists, and come with a 10 year guarantee. 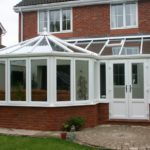 We've installed conservatories for our customers in Melton Mowbray, Leicestershire and we can do the same for you. When looking to select a preferred supplier and installer of windows and doors in Melton Mowbray, Leicestershire and the surrounding East Midlands, DGL is perfectly poised to provide you with the complete fenestration solution to your home based on choice, quality and service. Operating throughout the whole of Melton Mowbray, Leicestershire, DGL specialise in all types of double glazed, triple glazed and even single glazed windows and doors. Operating from its base in the market town of Melton Mowbray, it is well placed to service the city of Leicester and the key market towns of Melton Mowbray, Market Harborough, Loughborough, Syston and Oakham in neighbouring Rutland. DGL Double Glazing Melton Mowbray, Leicestershire supply and install the widest range of products to suit all types of property, desired material and accompanying customer budget. 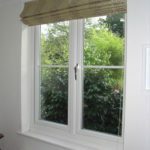 Choose from windows and doors in all of the available materials ranging from uPVC, wooden timber, aluminium, timber alternative uPVC and composite as an example selection. 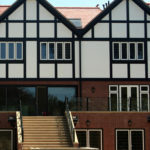 Alongside this vast choice of materials, the product range features casement windows, doors, entrance doors, French doors, patio doors, bi-fold doors, sliding sash windows, Georgian windows, leaded windows and replacement glazing and many many more…..
DGL also offers that key ingredient of peace of mind, given that the team boasts over 20 years of experience in supplying and installing all types of windows and doors. To rubber stamp this peace of mind and to allow you to buy with further confidence, we would invite you to visit our testimonial page which offers many examples of recent customers feedback, reviews and testament as to the professional advice provided, quality of product and installation. 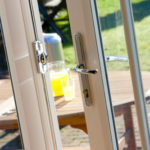 Typically all of our windows and doors are accompanied by a 10 year warranty / guarantee and for added comfort and peace of mind, as standard, we will provide you with a 10 year Insurance Backed Guarantee. All of our installations are correctly registered with building control regulations via the FENSA route of self certification and this ensures a smooth sales process should you ever decide to sell your home.